Youth Forward is a new and growing organization dedicated to supporting disadvantaged youth and youth of color through policy advocacy, education and community action. In addition to its own policy work, Youth Forward assists other organizations with strategic support in the areas of youth organizing, policy research, and organizational development. Youth Forward is committed to supporting youth voice and youth/adult partnerships and as such, recently added 4 amazing young adults to its board directors. LaCresia Hawkins is a Central Valley native. She has spent most of her adult life advocating for equity in the area of public health. She is currently a foster parent and is working to improve student health in low performing school districts. Over the years, she has played leadership roles in various organizations, including the statewide community organizing network, PICO California. Amy Fitzgerald is a Senior Program Officer at the East Bay Community Foundation. In that role, she supports organizations that amplify community voice and exercise grassroots power to build a Just East Bay. 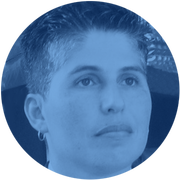 A Bay Area native, Amy worked for 12 years as a community organizer and Executive Director of Oakland Community Organizations (OCO), the largest grassroots organizing network in Oakland. Through her work, Amy manifests her passion for community-led, equitable systems change, faith active in the public sphere, and powerful multicultural coalitions. karen kaur dhillon is a first generation daughter of immigrants. As a person with multiple marginalized identities, karen is committed to restorative justice practices that focus on personal and social liberation to uplift the most oppressed through the lens of race, gender, and class. 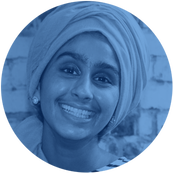 Her Sikhi (faith) is rooted in speaking up and ending all forms of structural violence. She’s not shy from seeking justice and fighting oppression by using her voice to let it be known. He has done motivating work with the organization, Brown Issues, in terms of engaging youth with civic participation & narrative building through the arts. He hopes to inspire the next generation of leaders while continuing his studies to lobby for progressive policy. 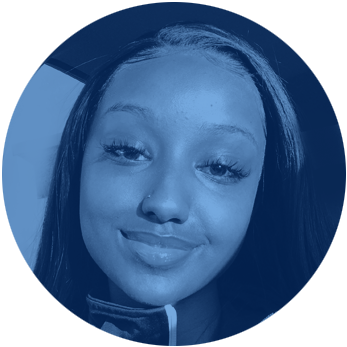 Mahalet Markos is 19 years old and currently attends Sacramento State University where she is seeking a degree in business and economics, She has been interested in business since her mother opened her own Ethiopian restaurant when she was 7 years old. She hopes to expand the business while also working on her own line of bottled Ethiopian Iced Tea. She was born in London, UK which means she is a first generation immigrant. She has lived in Sacramento for many years.She loves traveling and experiencing new cultures but she still is able to stay productive in her community and keep busy with extracurricular activities such as band dancing, soccer, and being an active member in the Black Student Union club through out high school and college. disconnected youth, and immigration. She is currently an independent consultant doing work on dismantling the school to prison pipeline and transforming life chances for boys and men of color. Prior to consulting, she was the Chief Equity Officer at the Stupski Foundation where she designed a R and D effort focused on applying knowledge from the psychology and neuroscience to help low income students and student of color own and drive their learning and increase academic achievement. Tia came to the foundation from the Warren Institute on Race, Ethnicity and Diversity at UC Berkeley Law School, where she was acting director of education, leading a policy unit focused on issues related to education reform, teacher effectiveness, and racial justice. Prior to joining the Warren Institute, she served as strategic consultant to the Office for Civil Rights in the US Department of Education leading their strategic planning process and supporting rollout and implementation of the new strategy across 12 regional offices. Prior to working with the department, Tia was a senior manager with the Bridgespan Group where she led engagements with large, national foundations and major civil rights groups. She’s also been a senior fellow at the Hewlett Foundation, a policy analyst for the Corporation for Supportive Housing and the San Francisco Mayor's HIV Health Services Planning Council, and a street outreach worker. 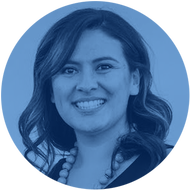 Tia has an AB in History from Harvard University, a Master in Public Policy from the University of California, Berkeley Goldman School of Public Policy, and a JD from Stanford Law School. Jim Keddy is the executive director of Youth Forward and a consultant to social change organizations. For thirty years Jim has served as a leader in social change efforts in California. He is the former director of PICO California, a statewide association of community organizing efforts, and served as a vice president at The California Endowment, one of the state’s largest charitable foundations. While at The Endowment, he played a primary role in developing the foundation’s youth organizing strategy. He began his work in promoting racial and social justice as a high school and college activist and entered the community organizing field in his early 20’s. He has been a member of several non-profit boards including the boards of The California Endowment, Public Health Advocates and the California Budget and Policy Center. As an appointee of Governor Brown, he serves on the state Tobacco Education and Research Oversight Committee. He also serves on the board of Kids First California. He is married to Gina Martinez-Keddy and is the proud father of 2 adult children. He is a worm rancher and a guitar player. Nia MooreWeathers is a California native, and supporter of social interests. She participated in youth mentoring programs and LGBTQ efforts (Vice President of West Campus GSA 2014-2016) during her high school career. She pursued her higher education at Humboldt State University; there she obtained her B.A. in Anthropology, with an emphasis in Evolutionary Medicine (2012-2016). With a skill for research, understanding of cultural health versus public health interests, and motivation to see racial equity established in her community, she began working for Youth Forward in the winter of 2018. As a Community Organizer, she hopes to bring joy, knowledge, and health to youth, and inspire change in policy at a local level. She is the eldest daughter of two hard-working and creative parents, and older sister to a firecracker at Howard State University. Sarah-Michael Gaston is a Sacramento native passionate about serving her community and promoting racial and social justice. Over the years she has held leadership roles in various social change efforts. She has been a dedicated volunteer for Sharing God's Bounty soup kitchen since 2008 - having become a supervisor in 2016. She is a former board member and community organizer for Black Women United, a nonprofit founded in 2017 that elevates and empowers Black women through the annual Black Women's March. And during her final year of college, she served as President of Black Student Union. 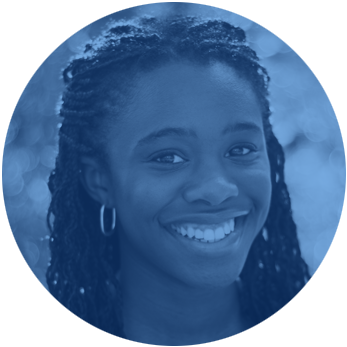 ​Within Youth Forward, her work entails advocating for policies in support of racial and health equity, particularly surrounding cannabis state policies. Before coming to Youth Forward in February 2019, Sarah-Michael worked in nonprofit housing and health-care organizations. She holds a Bachelors of Science in Psychology with a Business Management minor from Linfield College.